What do you like to do on a rainy day? Have coffee, chat and nap :-) Actually I really love drizzles and I'm so inspired writing and working on a rainy days (mild rains only) because I love the cool temperature and the raindrops! I deserve a week long vacation for working so hard and I want a vacation where I can just sleep, eat and walk. No cellphones, no internet and no planned schedules. Have you ever tried to go back to your old form when you were single? Well most of the new Moms had but not all have been successful in obtaining their objectives. Our metabolism slows down when we reach the age of 30 so the most successful in getting back to slimmer form are those who are under the age of 30. So that explains why even we decrease our intake of foods we only shed few pounds off our bodies. Those who really need a quick trim should consult their doctor on how they can do it because they know better. Well we also need a lot of physical activities like workouts, exercise, walking and sports. Also try not to sit for long hours as it may add up some bulges in your tummy. Remember that as we grow older our metabolism slows down so we better move and be active. 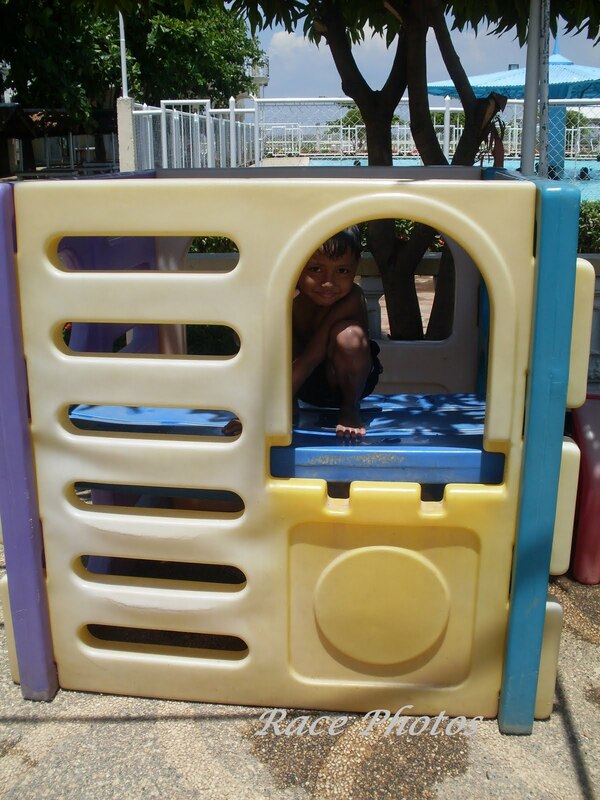 Look who's hiding inside the little tikes playbooth? 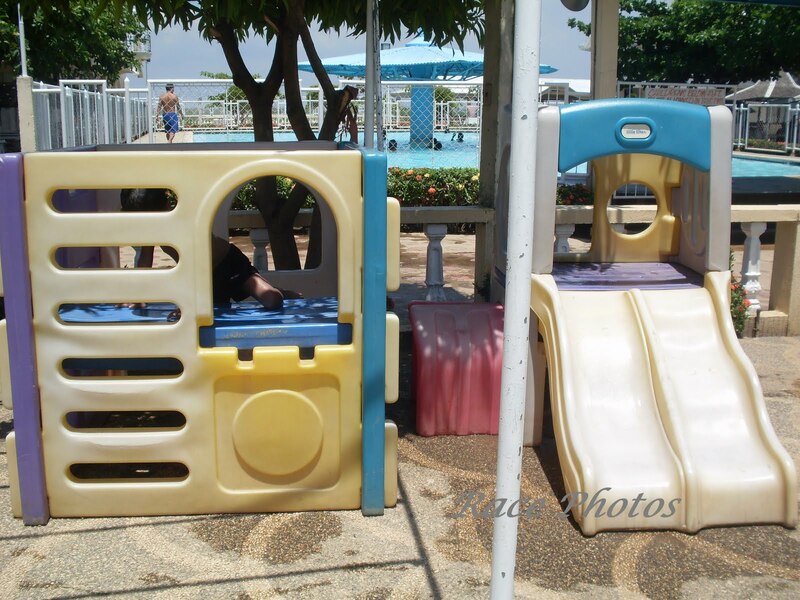 It's my little boy Josh who played at the slide and play booth while he's swimming. He rounded up all these at his granny's birthday celebration in the resort even without his playmates. Just caught him doing this while I'm looking out for him at the pool. Happy Monday everyone! For other entries just click the top logo! Modern technology has done a lot of improvements in many facets of life such as infrastructures, communication, manufacturing and also in education. Who would have thought that you can be educated outside the premises of school rooms and universities. Well now it’s all possible as online studies proved to be an added learning tool in giving education to many. Now there are even more advanced improvement in learning like the Knewton’s sat prep course which developed simplification in learning so the students can adapt more and concentrate on studying their weakest subjects. This will be achieved through live video online classrooms with the best online teachers to give their personalized attention to the student’s best and worst. It’s like getting the most out of the students’ weaknesses and strengths. I’m looking at some gadgets I want to buy from my favorite one-stop media provider when I suddenly remembered to buy dozens of blanks CDs for backing up my files. It’s cheaper buying them in bulk because you’ll get a wholesaler discounts. We also have a need for blank CDs always so it’s a lot more convenient to have more stocks. It’s like buying things like pouches, school supplies and clothes which have discounted prices when you buy in bulk. Even then I don’t buy things in dozens when I don’t need them because it’s not a good habit when you buy things you don’t need. 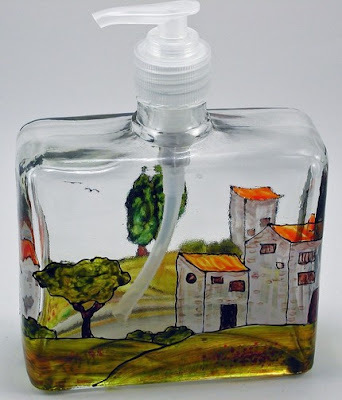 This is the Village Provencal hand painted soap and lotion dispenser I've found in etsy.com from Florence while looking for gift and home decor ideas. Florence described this glass recreation of her as Provence village where she painted a village and landscape around this soap and lotion dispenser with houses, trees, flowers and rolling hills. 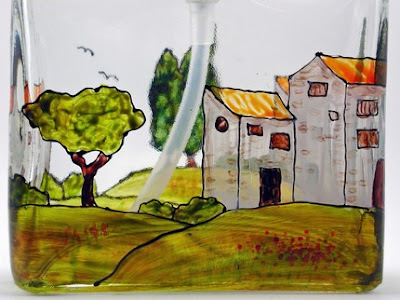 This will be perfect for your bathroom accessories. It measures7" (18cms) high from top of pump, 5" (12cms) wide and 2" (5cms) deep. It holds 13.2 oz of liquid. Plastic pump is included.